Toyota may be one of the world’s leading car brands but, in Japan, it is one of the country’s most popular surnames. Kozo Toyota is a talented flute-player and founder of the Toyota Ceílí Band in Tokyo. 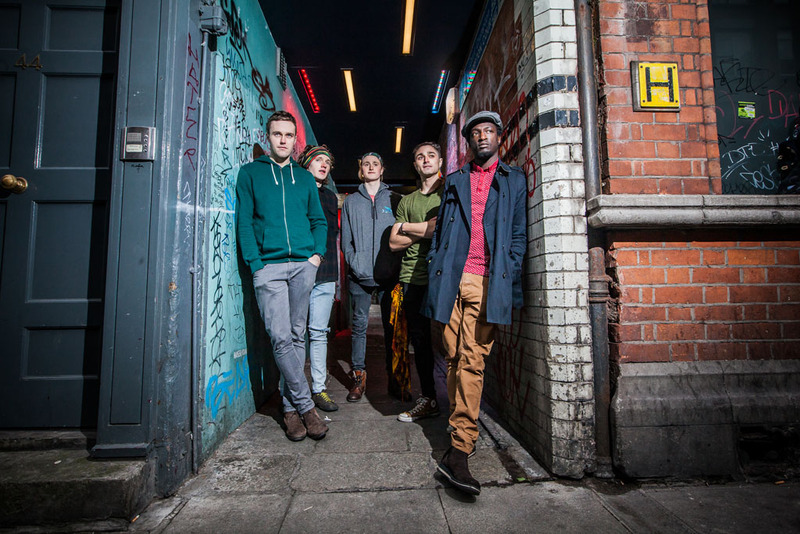 The band was founded in June 2011, in response to an increasing demand for regular céilís in Japan. The band is the first céilí band comprised of Japanese musicians, who host these dances on a regular basis. The members are keen to explore the best way to play for set dancing and have also learned to dance some sets themselves. 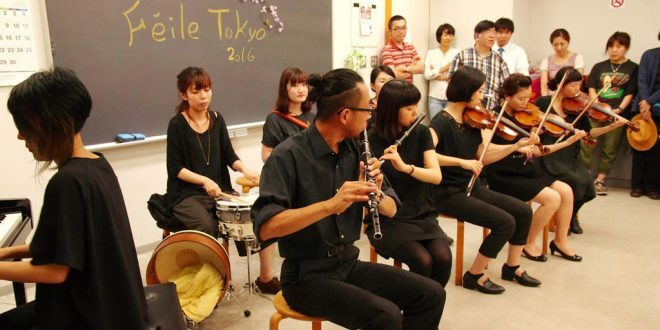 In September 2015, they won the first prize for the unofficial céilí band competition, organised by Comhaltas Japan. In June of this year, they were awarded first place in the céilí band category of the competitions during the first Féile Tokyo and qualified to enter Fleadh Cheoil na hÉireann in Ennis. The nine members of the band play a range of instruments, including two flutes, three fiddles, button accordion, banjo, drums and piano. Comhaltas Japan is sending not one but two ceilí bands to compete at Fleadh Cheoil na hÉireann. Young up-and-coming musicians from all over Japan, especially outside of Tokyo, gathered to start the Taro Céilí Band in 2016. Since the group’s formation, the members have worked hard together and incorporated a lively, danceable style into their performance. ‘You surely feel like dancing to our music’ is their motto and they try to make the most of each dance tune. Taro is pronounced ‘tah-ro-u’ and is the first name of the leader, Mr Nagata. It is, traditionally, one of the most common boys’ names in Japan, like Patrick or John in Ireland. Literally, it means the first son of the family. There are eight members in the Taro Céilí Band, playing an assortment of instruments, including three fiddles, one flute, concertina, piano, banjo and drums. 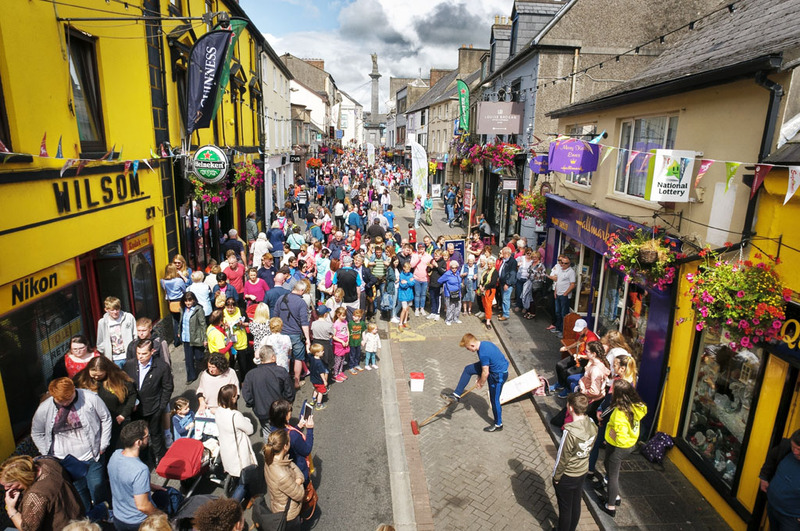 At the Fleadh, members of both bands will also compete individually in competitions other than the céilí bands category. Comhaltas Ceoltóirí Éireann has a thriving branch in Tokyo. Each Sunday, the members gather to practice set dancing, old-style step dancing and sean-nós. They also hold music classes, as well as céilís, three to four times a year. They have been taking part in the annual St Patrick’s Day Parade in Tokyo for over 20 years. Comhaltas Japan has its own website, comhaltas.jp, and there are a number of videos on YouTube featuring the work of the Ennis visitors. Mícheál Ó Riabhaigh, chairman of the Ennis Fleadh Committee, said he wanted to extend the warmest welcome to the town’s visitors from Asia. “With up to 20% of our competitors coming from overseas, we can say that Comhaltas has become a truly international organisation. It is a great tribute to the hard work and talent of our guests from Japan that they qualified to compete in this year’s Fleadh at Féile Tokyo 2016. 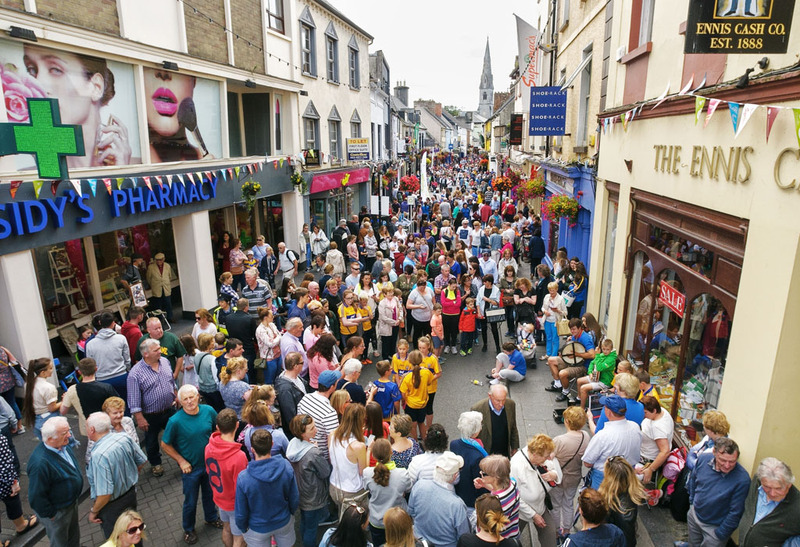 “I’m sure not only will they compete in the competition but will also take part in the street sessions, which, for many, are the life and soul of Fleadh Cheoil na hÉireann. They have come, at great expense, from the other side of the world to be in Ennis. “Let their visit be memorable for them and for us,” said Mr Ó Riabhaigh.